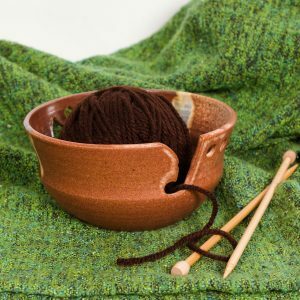 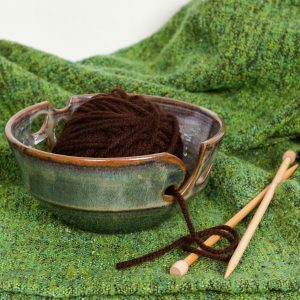 Keep your yarn organized while working on your next piece of fiber art. 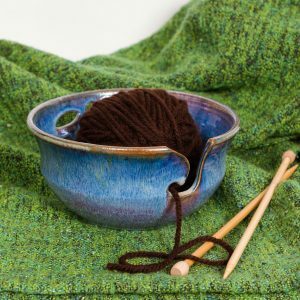 A notch to feed the yarn through while keeping your yarn ball in place while you work. 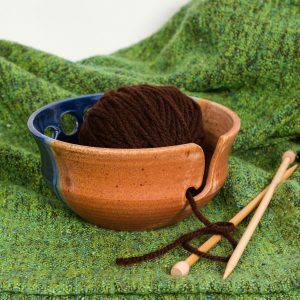 Made of handmade stoneware, so your bowl won't slide off of the table while you're working. 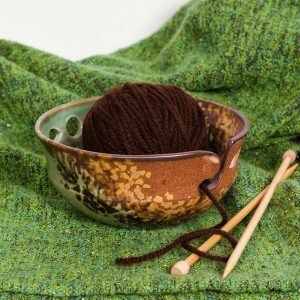 Bowls are approx. 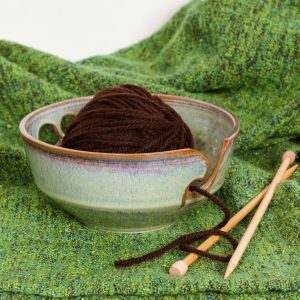 7.25" x 7.25" x 3.5"
These bowls are available in 6 different patterns, so you'll be sure to find one that you absolutely love!